Windows 10 is created and distributed by Microsoft, so it has its own agenda about what programs and settings should be the defaults and how you should use your computer. In my opinion, it’s MY computer so I want to set it the way I want to use it. This isn’t always consistent with Microsoft’s wishes but I sure hope they’ll get over it. I have a whole routine I go through whenever I set up a Windows 10 computer (whether it’s a brand new one a client just bought, or a laptop I’m refurbishing to sell). But the 3 things I’m talking about today are changes you can make (and should make, in my opinion) as a bare minimum. They’re pretty easy to do, and the more we can push away Microsoft’s advances, the better. 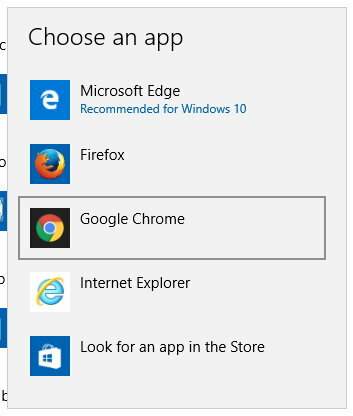 When you first run Windows 10, the default web browser will be Edge. Of course it will, since Microsoft makes Windows 10, and Microsoft makes Edge. But most people don’t like Edge. For me, I use Chrome for almost everything (and if you prefer Firefox, that’s a good option too although it does have some limitations). Click to choose Chrome. You’ll probably get a little window asking you to at least TRY using Edge, but click on “Switch anyway”. Chrome is now your default browser. This one really ticks me off. 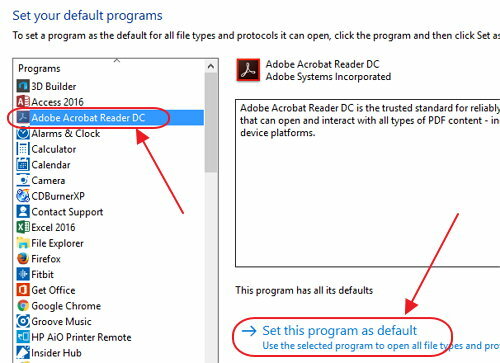 Windows 10 by default is set up so that when you click to open a PDF file, it opens in… the Edge web browser. Why, Microsoft? Why would anyone want to open a PDF document in a program that’s designed to view websites? It’s just nuts. But we’ll take care of it. And if you did just now get a new Windows 10 computer, chances are it doesn’t have Adobe Reader even installed on it. You can get it at Adobe.com – just scroll to the bottom of the page to find the download link. And watch out for the pre-checked boxes during the installation – make sure you UNcheck all of them so you don’t get any extra junk on your computer. This one starts off the same as the first one – click the Start button, then click on Settings. Click on the “System” option. On the left side, click on “Default apps”. Look down the list toward the bottom, to find the link that says “Set defaults by app” and click it. Now if you want to check it, just go to your Documents folder and open a PDF file. It should open in Adobe Reader. 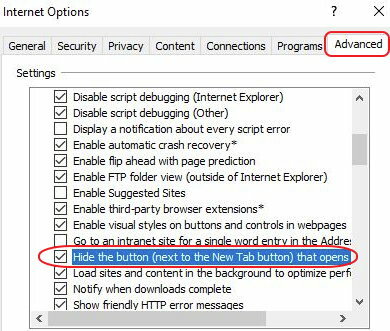 To get rid of it: In Internet Explorer, click Tools – Internet Options. In the new window, click on the “Advanced” tab and scroll down a short way to see the option called “Hide the button (next to the New Tab button) that opens Edge”. Check that box and click OK.
Like I said, that “Edge” tab in Internet Explorer is not a big thing. I don’t even use IE so I would never see it. But sometimes Microsoft’s advances seem like mosquitoes that we have to keep swatting away. And I’ll swat Edge away any chance I get. Remember, the 3 things I listed here are only 3 things. 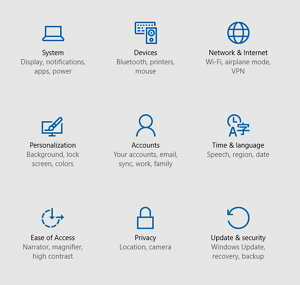 There are lots of other things I do when setting up a Windows 10 computer to make it as easy and safe to use as possible. If you need help with that, I can do a full setup remotely – so it doesn’t matter if you’re here in Safety Harbor, Florida or anywhere else. If I were running W10 in a business, I would want control over Updates. I am retired and I get angry/frustrated that my attempts to do a quick reboot, or shut down, or turn on, get taken over by MS updates. If that irritates the hades out of me, imagine what it must be like when employees in a business are doing something much more crucial than retired me, and MS takes over the computer. If it is possible for mere mortals to take control of this, so that MS MUST get permission FIRST, then I would add that to your ‘list of settings I always change’.